BEAUTIFUL SURGERY BY SOUTH AFRICA’S LEADING PRACTITIONERS. SPECIALISED EXPERTISE TO SUIT YOUR INDIVIDUAL NEEDS. Blatantly direct advertising of the services of medical practitioners is considered unethical and in poor taste by the Association of Plastic and Reconstructive Surgeons of South Africa (APRSSA). The medical profession is after all a noble profession that necessitates many years of study and gaining of experience by its members. To be chosen like an over the counter commodity is, as a result, unacceptable. What’s more, although South Africa’s leading surgeons are all well versed in every discipline and aspect of their craft, it is not unusual to have individual areas of interest, and as a result, specialised areas of expertise. It is precisely that specialised expertise that Surgical Attractions are offering their clients. 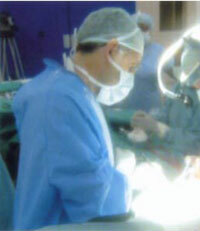 Therefore instead of having to choose a surgeon off the shelf, so to speak, you will be asked by Surgical Attractions to forward us not only the title(s) of the surgical procedure(s) you wish to pursue but also your medical history and your own particular desires and aspirations for the outcome of your procedure(s). Once your specific requirements have been assessed one of South Africa’s leading surgeons will be recommended to you. The recommendation will be accompanied by his or her CV (Curriculum Vitae). If for any reason you are not happy with the recommendation, your comments will be noted, and only after further assessment will an alternative surgeon be put forward to you. The Surgical Attractions step by step process will only continue once you have accepted a surgeon recommendation and are happy to proceed. This method of surgeon selection not only dignifies the medical profession but also reassures you, our most valued client, that you are not just a number and as such are not going to be undergoing surgery by a one size fits all surgeons. To begin the process of discovering the surgeon most suited to your particular requirements please fill in the Surgical Attractions Enquiry Form and email it to us accompanied by a reasonably close up, yet clear digital photo (in colour) of the area(s) of your body requiring surgery. All our world-renowned surgeons are members of the Health Professions Council of South Africa (HPCSA), the Association of Plastic and Reconstructive Surgeons of South Africa (APRSSA), and the International Society of Aesthetic Plastic Surgery (ISAPS). © 2012 Surgical Attractions. All rights reserved.